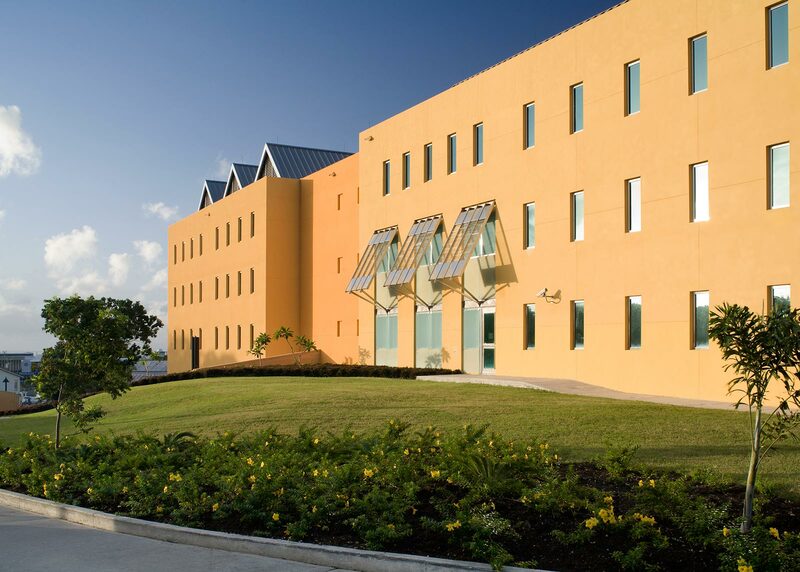 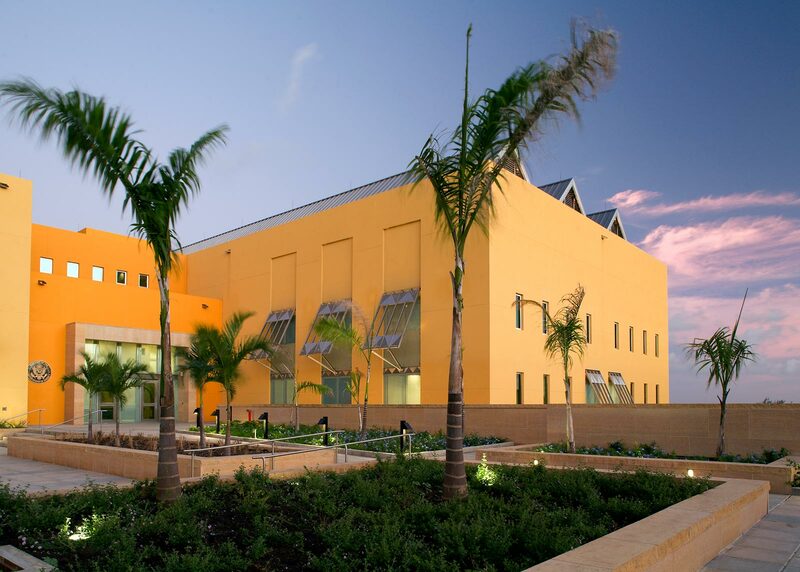 Ornamental fencing surrounds the perimeter of the United States Embassy complex in Bridgetown, Barbados. 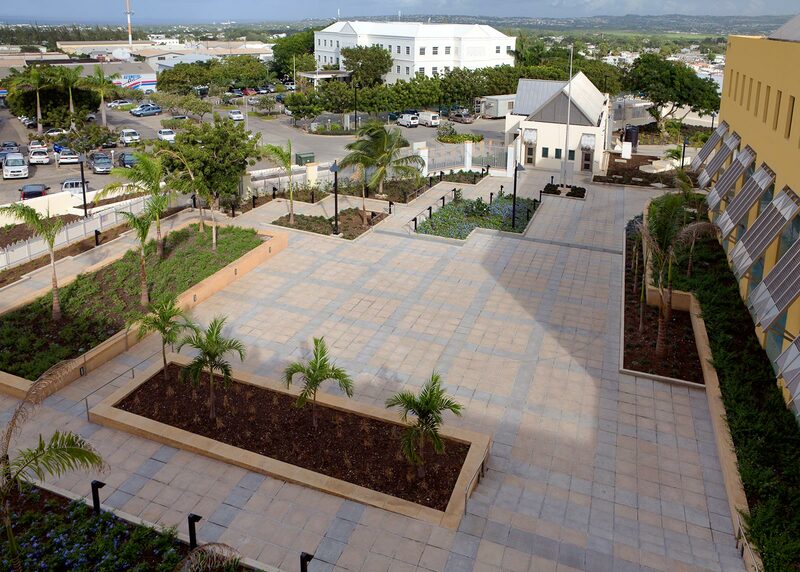 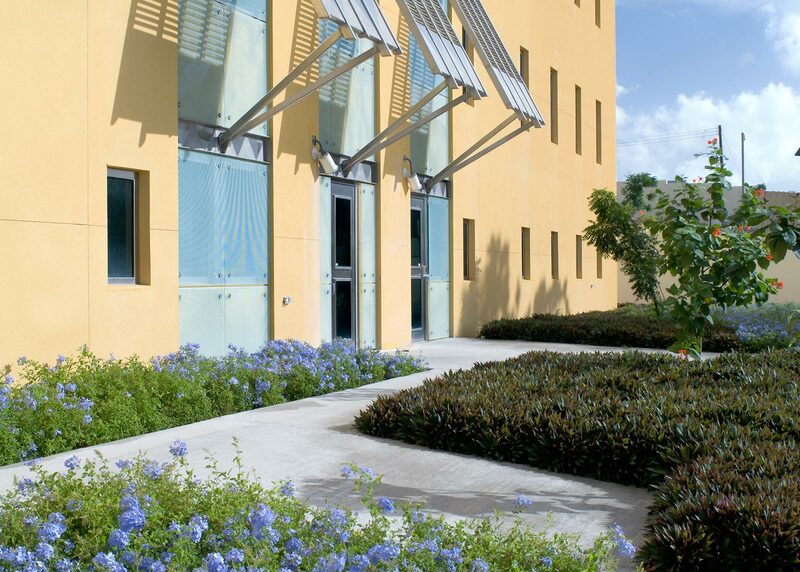 Broad sweeps of tropical plants and Royal Palms create a lush backdrop for the five acre Embassy’s ceremonial entrance space, which is defined with special paving. 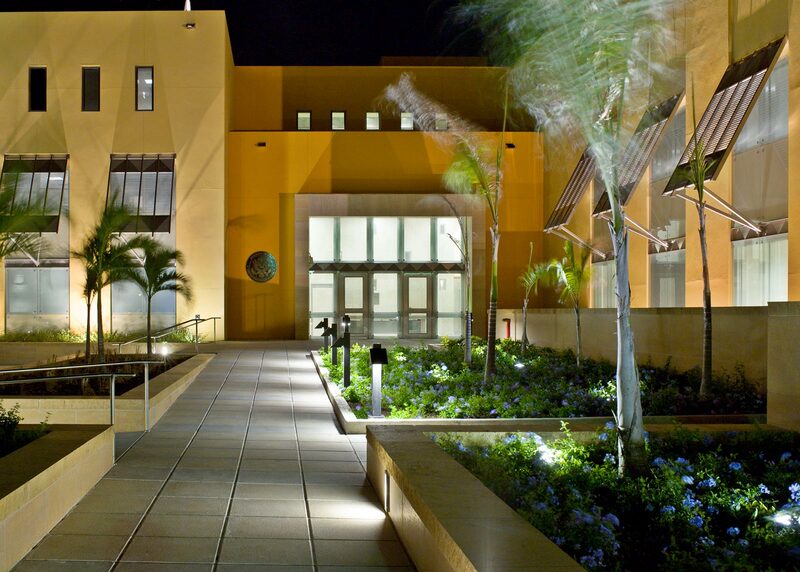 The pedestrian plaza is framed with seat walls surrounding tropical flora and an occasional Mahogany tree for shade, a must in the tropical climate. 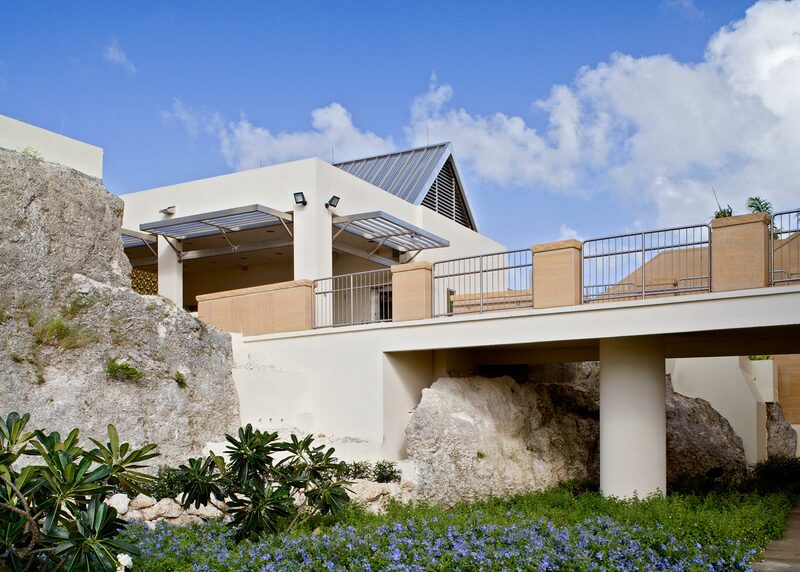 The site was formerly a quarry and existing coral walls have been incorporated to support tropical ferns and mosses. 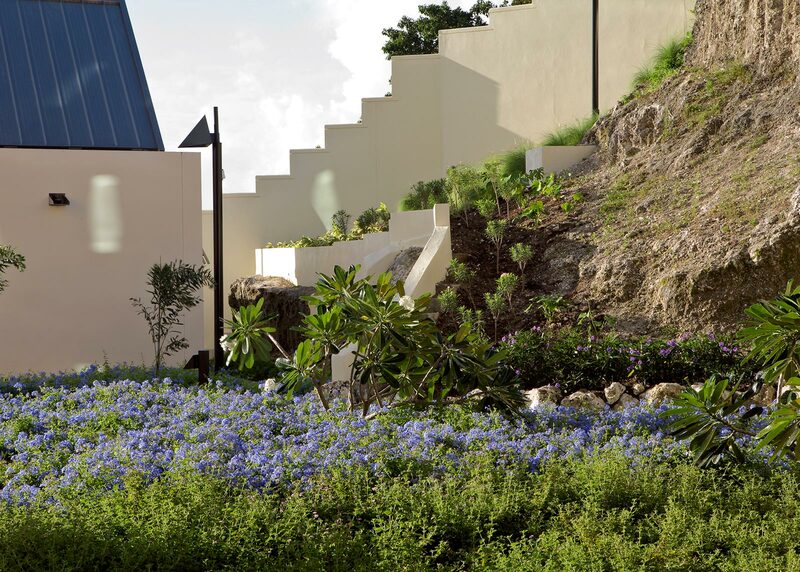 The sculpted walls define “pocket” gardens that can be viewed from the Embassy’s ground level.